Product prices and availability are accurate as of 2019-04-16 04:50:24 BST and are subject to change. Any price and availability information displayed on http://www.amazon.co.uk/ at the time of purchase will apply to the purchase of this product. Measure, explore volume and make comparisons of solids and liquids with this sturdy bucket balance with lids. Removable calibrated clear buckets hold solids or up to 400 ml of liquid. Easy pour spout makes measuring liquids easy. 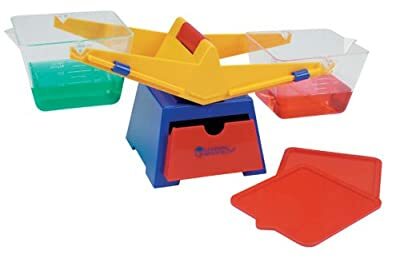 Lids can be used as platforms and the built-in drawer is perfect for storing weights. Balance measures: 16.5 inches x 6.5 inches x 6 inches. 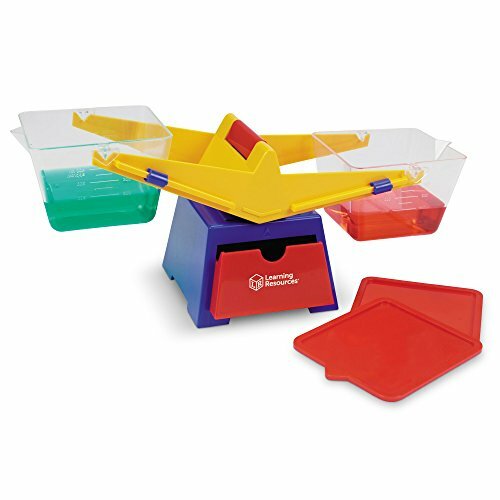 Measure, explore volume and make comparisons of solids and liquids with this sturdy bucket balance with lids. Removable calibrated clear buckets hold solids or up to 400 ml of liquid. Easy pour spout makes measuring liquids easy. Lids can be used as platforms and the built-in drawer is perfect for storing weights.